Rocket Matter Knowledge Base Invoice TemplatesInvoice Template: How do I delete an Invoice Template? If you've recently updated your invoice templates, you may be storing outdated templates in your Rocket Matter system. 1. Click "Custom Invoice Template". Zoom: 1. 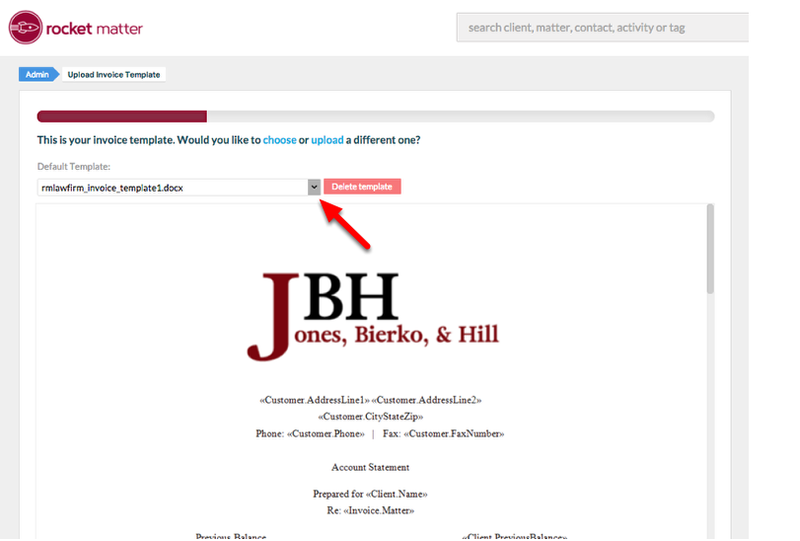 Click &quot;Custom Invoice Template&quot;. 2. 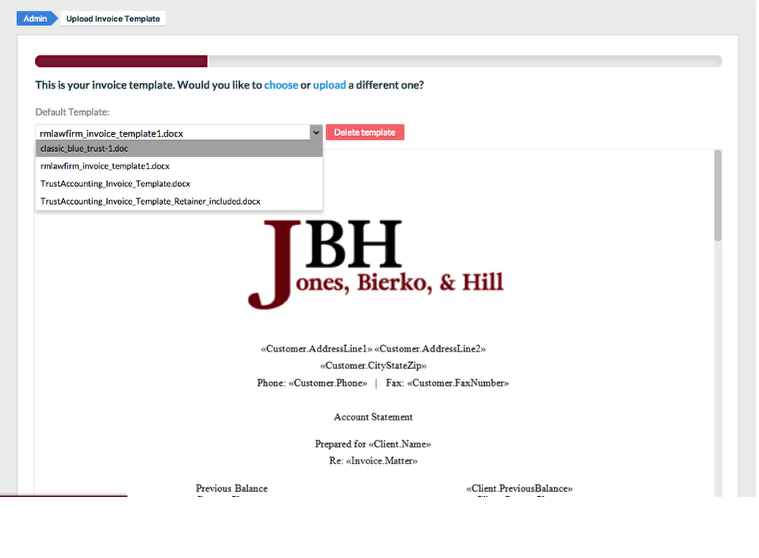 Click the Default Template dropdown menu. 3. Select the Invoice Template that you wish to delete. Zoom: 4. Click &quot;Delete template&quot;. 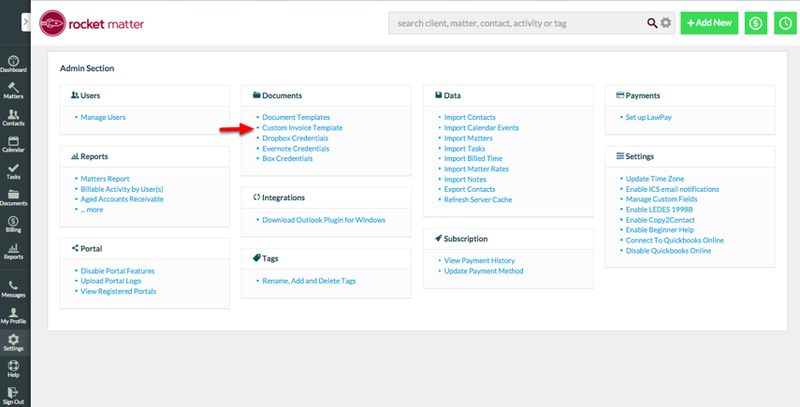 Prev: Invoice Templates: How do I change my default Invoice Template? 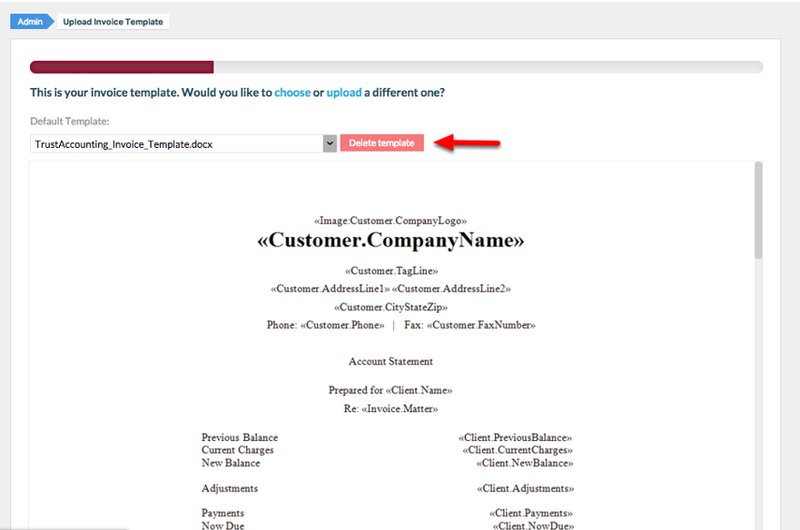 Next: Invoice Templates: How do I add or change a merge field on my Invoice Template?